Talking about death makes most people uneasy, but it's important to designate what happens to your estate after you're gone. Estate planning ensures your assets fall into the right hands and that your family is taken care of. While many people know what a will is, they're not really sure how wills and other documents operate. To help you better understand the estate planning process and its importance, our estate litigation lawyers are answering some of your most commonly asked questions. Having a will is very important, as it ensures your assets are distributed according to your wishes. If you pass without a will, the state will determine how your assets are distributed. In the state of California, any assets acquired during marriage are passed to the living spouse, while assets acquired or inherited prior to marriage are divided between the spouse and children. In the event that there's no spouse or children, the estate is passed to the living parents. Your estate will be given to the state if you die with no living blood relatives. A will is also important because you can designate a guardian for your minor children in the event of your passing. Additionally, by creating a will you can minimize taxes for your family and provide them with peace of mind knowing that your wishes are being fulfilled. What’s the difference between a last will and living trust? A will goes into effect after you die. It disposes who receives your assets and appoints a legal representative to oversee the distribution of your estate. A trust can be active as soon as it's created and distribute your assets before you die. A will is a public record, whereas a trust is usually private. While a will involves the distribution of all your owned assets, a living trust only handles assets that are placed in the trust. It's common for people to use both a last will and living trust. Talk to your attorney to see what route is best for you. What's the difference between a last will and living will? 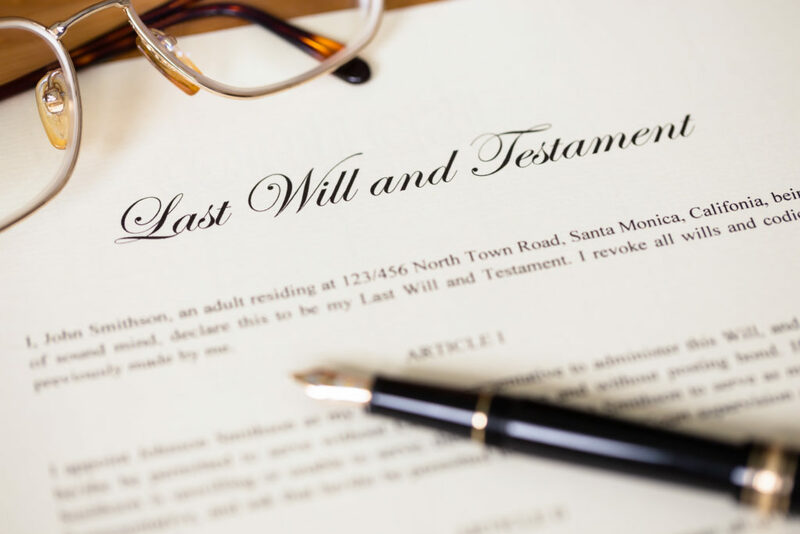 A last will distributes your assets after death, while a living will provides health care instructions to ensure your wishes are met in the event that you can no longer express them. For instance, your living will can designate whether you desire life support. What is Power of Attorney and Advance Directive? These are two important components in estate planning. The Power of Attorney appoints the person who will manage your finances for you in the event that you are no longer able to do so yourself. An Advance Directive appoints the person who will make medical decisions on your behalf when you are no longer able to make them yourself. How often do I need to update my estate plan? Once created, your estate plan should be reviewed at least every three to five years. You should review it sooner if you experience a major live event, such as marriage, divorce, or the birth of a child. What makes my will legal? To make your will legal, you are required to date and sign it under the supervision of two witnesses, who must also sign it. An heir of your will cannot be a witness. Do I need to involve a lawyer? While you are not legally required to hire a lawyer to help with your estate plan, it is definitely beneficial to do so. A lawyer will ensure you are in compliance with state laws and provide the best tax benefits for your family. If you have any additional questions about the estate planning process, please contact our estate planning and litigation lawyers at Catanese & Wells. We'd be happy to explain the process in more detail and help you develop your estate planning documents.